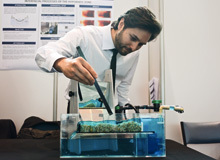 The Endeavour Program is a student-managed program of events, culminating in the Endeavour Engineering & IT Exhibition, a public display of Engineering and IT student projects in October each year. 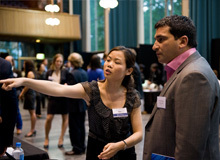 Endeavour is supported by companies and organisations from Victoria, Australia and abroad, including major multi-national corporations. 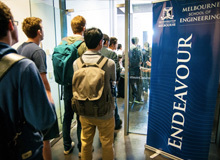 All interested members of the public are welcome to attend the free annual Endeavour Design Expo at the University of Melbourne for an exciting peek into the bright future of Engineering and IT. 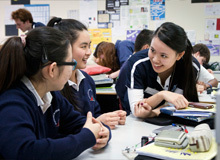 The Endeavour Schools Program connects with primary and secondary schools across Victoria, bringing an engaging introduction to Engineering & IT along with all kinds of technology demonstrations. Endeavour presents an exclusive opportunity for final-year Engineering & IT students to share their passion for innovative engineering with school students, industry representatives, and university academics. 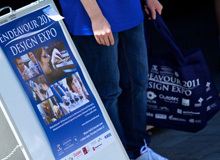 All students across the University are welcome to visit the Endeavour Design Expo or get involved by volunteering as part of the schools program or at events.